‘Sound mind in a sound body’ is an unavoidable necessity for all but, sadly, this notion is slowing fading away in the tinsel town of technology. With computers taking up the world, our youth’s conceptiontowards involvement in sports is becoming limited to their Xboxes. Innuendoes like these fuel us up to motivate our students to be ever active and constantly mirror their journey to be able to hit the bull’s eye whenever they venture out in the world. Therefore, students from K.R. Mangalam World School, Vaishali participated in an Inter School Table Tennis Championship held at JBM Global School, Noida. 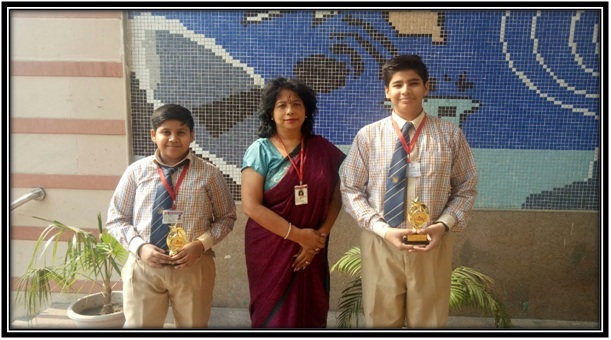 Their skills and talent awed everyone as NamanPrashar (Class IX) and SohaanGaba (Class VI) swept one Gold Medal each in the competition, making everyone proud of them. Kudos to the winners!